Grind your own herbs, spices, tobacco, or tea with this full size hand muller. The heavy duty zinc alloy construction is lightweight and durable. 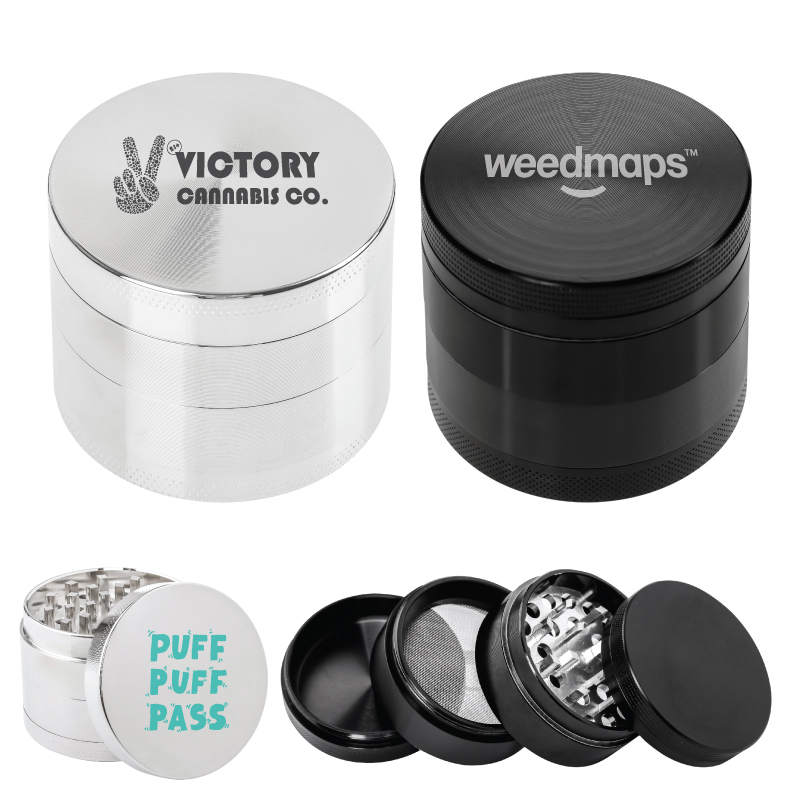 Includes a magnetized lid, pollen catcher, and screen cleaner among many features. 4 piece construction with 3 total chambers. Perfect gift for dispensaries and other medicinal related brands.